Invoice history based on 247 reviews. 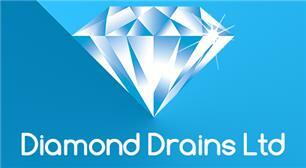 Diamond Drains Ltd is a family run company with over 20 years experience in the drainage industry. Our company code is to do a good job at a fair price and we are confident after you use us for your drainage needs you will never call another drainage company again. We always guarantee our work as were confident once we fix a problem you won’t need to call us again for the same problem. All our drainage engineers are professional and polite and adhere to our company policies. We offer a speedy response and 24 hour service, all our mobile units are fully equipped to deal with any drainage problem domestic or commercial we have the equipment and knowledge to carry out any drainage project to the highest standard at extremely competitive prices.